North American Racquets Association | The game of racquets is considered to be the fastest racquet sport in existence. With its origins dating back over 200 years, it is similar to its offspring, the game of squash. 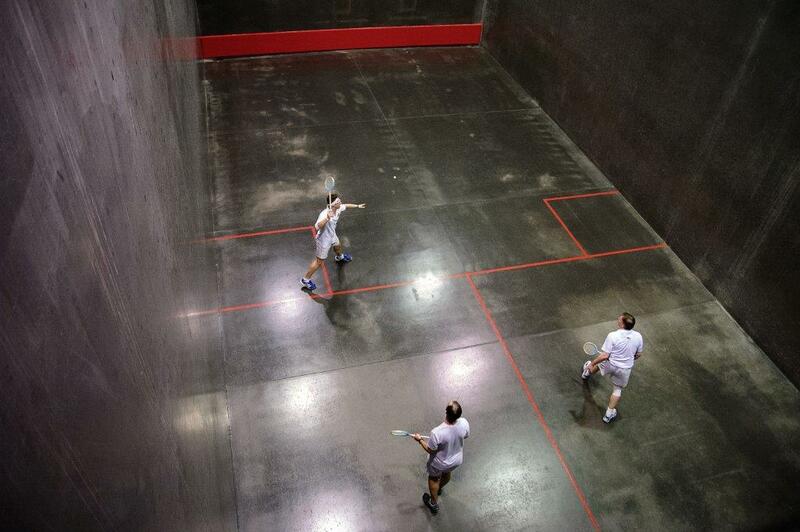 Racquets is played in a 60’ by 30’ enclosed court with walls extending 30’ high. The ball routinely travels well over a hundred miles per hour, propelled by a long wooden racquet. It is played in both singles and doubles formats in the United States, Canada, and the United Kingdom. The North American Racquets Association is the sport’s governing body in the United States and Canada. The game of racquets is considered to be the fastest racquet sport in existence. With its origins dating back over 200 years, it is similar to its offspring the game of squash. Racquets is played in a 60’ by 30’ enclosed court with walls extending 30’ high. The ball routinely travels well over a hundred miles per hour, propelled by a long wooden racquet. It is played in both singles and doubles formats in the United States, Canada, and the United Kingdom. The North American Racquets Association is the sport’s governing body in the United States and Canada. In its earliest form during the 18th Century, rackets was played in the open on the walls of the yards of the two main debtor’s prisons. Watch the US Amateur live on YouTube from The Racquet Club of Philadelphia starting Saturday, February 2nd at 10:30am. Ladies and gentlemen, introducing your 2018 World Doubles Champions James Stout and Jonathan Larken! They are the first pair to successfully defend their title since 2003, and are playing at their absolute peak. Congratulations to Challengers Tom Billings and Richard Owen on a hard-fought championship challenge. Well played! Thank you all for following along. PLAY!